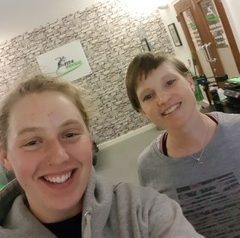 Fit4-Physio Sponsored Athlete Bex Baraona on the eve of her 2019 Season…..
I’m writing this blog on the plane to New Zealand where my race season kicks off after 2 weeks of acclimatisation. It feels crazy that the season has come round so fast, it always does creep up like this and before I know it I’m heading off for the first comp. It was a much needed 5 months at home to reset, work on some new things (on and off the bike) and keep my feet on the ground. On the other hand, there’s definitely times when the routine of training and off-season antics get tedious and my inner traveller and racer just wants to get on the road again. Well now the time has come! In recap, there has been quite a few changes to my program this off season. As I touched on in the last blog, I am super grateful to have welcomed onboard this year: new coach Adela Carter, sports psychologist Tim Pitt and of course the continued support from the Fit4 Team. To an outsider, introducing a whole new team might seem like a lot of change in one go and could seem complicated to have involvement from multiple people, however it has felt easy to coordinate and I am lucky enough that Adela, Tim, Lucy and Rich have all worked together before and with other world class athletes. And, in addition, my program before hand was pretty much “ride my bike”- so implementing expert key players and structure was much needed! January saw me head into hospital for a arthroscopy on my left wrist. Multiple crashes and hard impacts over the last 2 seasons had put me in continual pain for the last 6 months and I’d been having to adapt quite a lot of my training, riding and even daily tasks. So it was time to have a proper look inside and hopefully get some answers for the constant pain. 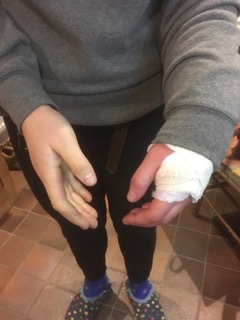 Not exactly what most riders would consider a good start to the year, especially with the season kicking off just 2.5 months post-op. For me, this was my first time being operated on, I won’t lie, I didn’t like any part of it, and I’m not meaning just the actual time I spent in hospital, but the whole unknown of what they would find, what they would fix, if they could fix it, how long recovery would be blah blah blah! As an athlete, everyday I’m doing things to get more from myself and ultimately improve, so the thought I was going to wake up sore and worse off, just felt like a backwards step and didn’t sit well- especially so close to the first races! Dealing with all the unknowns that come with surgery was definitely a learning curve and something I feel has helped me understand my approach to these situations and my body even better. The body will win so listen to it! I couldn’t ignore my wrist for another season. Mentally, recovery was up and down. There was definitely many mornings I’d wake up frustrated that “it still f*cking hurts”. When the surgeon says it will be a 2 week recovery, in my head that meant, on the 14th day post surgery I’ll be good to go- oh how I was wrong. Again, the body knows what it wants so listen to it. A big thing I have learnt and will carry into other aspects of life, is to have very little expectations. I’m an ambitious person and certainly a thinker, like a plan or a schedule to follow, so it was hard not to think about post surgery, set goals and inevitably have some expectations. Recovery from any injury has unknowns and surgeons, physios, coaches will all try to shed light or past experience on the issue but the reality is, again, the body will tell you what it needs and the best thing to do is be honest with yourself- I learnt not to push on because deep down I knew I wasn’t ready. 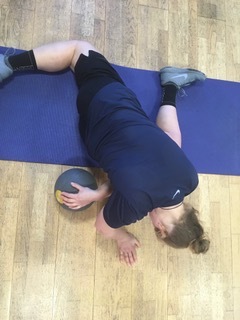 This was a constant mental battle and even now, still talking recovery slow, trying out some new things in the gym, pushing the wrist to see if it is ready but going about it with a good level of awareness. Luckily for me, my sport (Enduro MTB racing) had a good dose of adrenaline which masks pains well once you get going! 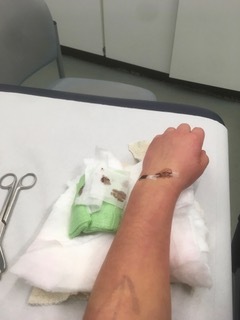 This can be a good and a bad thing, because the last 2 years I have let this wrist issue build up because I could “get away with it”, but to stay in the game for a decent career it is important not to ignore injuries. Sport psychologist, Tim, has been really great to work with on injury support; helping me avoid sweeping emotion under the carpet and instead acknowledge what I am feeling and understand why I am feeling like that. The most important part was understanding that, I don’t have control over these feelings and they are all very normal and expected, however, I can control how I react to them- get frustrated? get me down? Which inevitable will effect my progress through rehab and training. Pairing the influx of feelings with my personality preferences (logical, forceful and expressive identified by Mindflick’s personality profiling called Spotlight) it is asking for a negative, irritable and frustrated outlook on the situation. It has been good to realise that reacting to feelings like these require a bit more conscious effort from myself in order to stay focused on what I am dealing with in the present time. 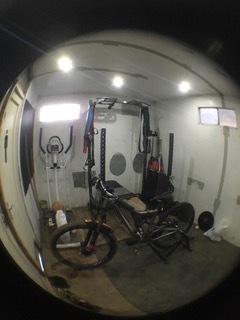 Aside from all the surgery and mindsets talk, it has been great to get out on the bike after, what felt like, a lifetime sat on the turbo bike in my little ghetto home gym (see photo). 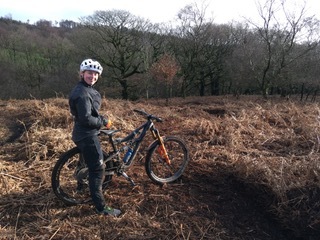 I managed to fit some good riding in on my local trails, and a trip up to Innerliethen and South Wales for training camps. We use these trips away riding different terrain to help keep me sharp- it is easy to relax on home trails a bit too much and lose the racing edge. 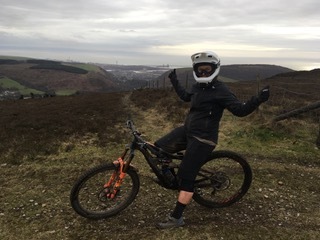 South Wales saw me and a friend set up a training race, chuck on the full face helmet (which we also race Enduro World Series in) and get some fast runs on new trails in. So what is next, I have 2 weeks ahead of me to relax and get into the groove of the local life, weather and trails. NZ has a totally different climate, 11hr time difference and the Redwood Forest is pretty different to my local- so I will be easing myself into it. But looking forward to going full charge and preparing myself as best I can. Enduro World Series Round 1- Rotorua, New Zealand 24th March. Enduro World Series Round 2- Derby, Tasmania AUS 31st March. Next blog will be written on the plane home after these first two races so hopefully some exciting stories and insight into how they went down!